China has long been a catalyst of consumer product scares. Lumber Liquidators is just the latest in a string of companies to take heat. NEW YORK (TheStreet) -- China has long been a catalyst of consumer product scares. Lumber Liquidators (LL is just the latest in a string of companies to take heat over the safety of their China-imported products. In 2007, perhaps the low point of China-made product scandals and recalls, warnings and bans on Chinese exports to the U.S. ran rampant across a wide range of industries, from toys to personal care products, tires to seafood. Toy maker Mattel (MAT - Get Report) issued a recall of nearly one million toys due to lead paint dangers -- and that wasn't even the biggest recall of the year. Thomas train manufacturer Rc2 recalled 1.5 million trains and accessories from a Chinese supplier that were coated in lead paint. One million pounds of what the Associated Press called "suspect Chinese seafood" arrived on American shelves that year, causing panic. Nearly half a million radial tires were hauled in after a New Jersey company disclosed its Chinese manufacturer had discontinued a safety feature that prevented the tires from coming apart. And while rectifying measures have been taken, the corner hasn't yet been turned. In late 2007, the U.S. Consumer Product Safety Commission announced an agreement with Chinese officials aimed at stopping the use of lead by Chinese manufacturers in toys exported to America. In 2011, the body established its first-ever foreign office in Beijing, the CPSC Regional Product Safety Office, with the primary purpose of educating and informing public and private sector officials in Asia who are involved in the safety of consumer products exported to the U.S. Here's a look at Chinese-made products that have made American consumers shake in their boots. 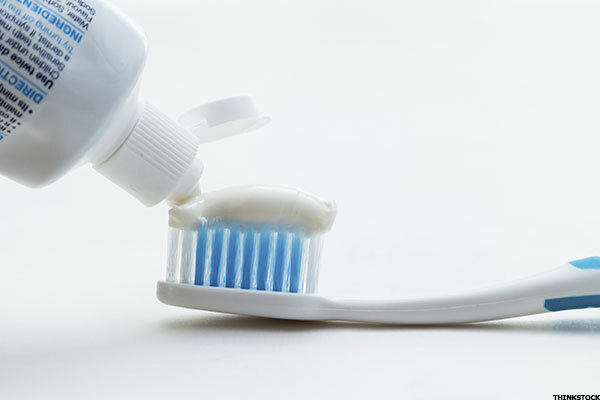 In June 2007, U.S. consumers were advised to discard all toothpaste made in China after federal health officials discovered products containing diethylene glycol. The FDA identified a brand called ShiR Fresh Mint Fluoride Paste and several other toothpaste brands containing dangerous amounts of the poisonous chemical. The Colgate-Palmolive Company (CL - Get Report) was also caught in the crossfire, as counterfeit toothpaste sold in four states with its label were recalled due to concerns they contained DEG. Though the 2007 scandal have come and gone, concerns regarding Chinese-made toothpastes remain. Last August, Hong Kong disclosed intentions to probe Colgate over a cancer-linked ingredient. 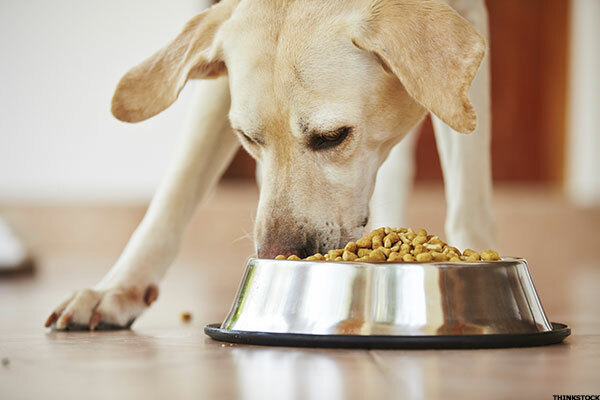 Increasing reports of renal failure in pets in North America, Europe and South Africa were the catalyst of a far-reaching recall of cat and dog food brands beginning in early 2007. In March of that year, the FDA detected contaminants in vegetable proteins used as ingredients in pet food. By April, the Chinese government acknowledged the ingredients were in food coming from China. The following year, a federal grand jury issued indictments against Xuzhou Anying Biologic Technology Development Company and ChemNutra. Most recalled pet food came from Menu Food, but other affected brands included Nestlé Purina PetCare and Royal Canin. Today, the issue of Chinese ingredients in pet food is far from settled. In 2014, Purina and Waggin' Train LLC agreed to pay $6.5 million to U.S. pet owners who believed the companies' China-made jerky treats were to blame for their animals' illnesses and deaths. A similar suit has been filed this year. 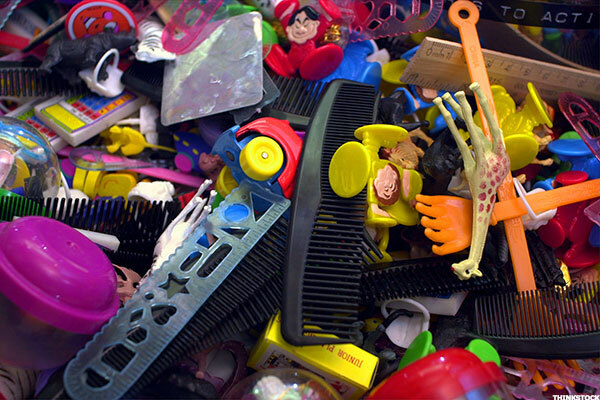 In August 2007, Mattel (MAT - Get Report) , the world's largest toy company, announced its biggest recall in history. It issued a warning on nearly half a million Chinese-made die-cast toy cars covered in lead paint. The same year, Marvel Toys pulled 175,000 Curious George dolls from the shelves and Dolgencorp recalled 51,000 children's fashion sunglasses due to lead concerns traced back to China. Despite increased regulations, issues remain. Last year, China-made toy recalls were issued on items at Cracker Barrel (CBRL - Get Report), McDonald's (MCD - Get Report) and numerous other establishments due to safety concerns. Alibaba (BABA - Get Report) has been forced to deal with regulators as well. The Chinese e-commerce giant agreed in early 2015 to prevent the sale of up to 15 illegal or dangerous toys in the United States -- a move that may or may not prove effective, given data from the U.S. Consumer Product Safety Commission that 90% of U.S. toy imports come from China. Last year, the U.S. Department of Homeland Security issued a stern warning on the dangers of counterfeit cosmetics purchased online. Among the top violators: China. 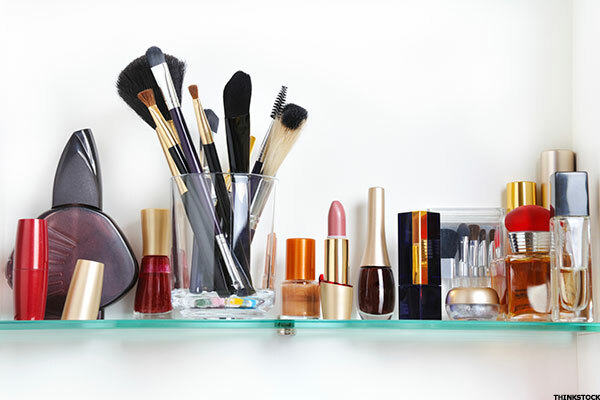 Counterfeit makeup products, including those mimicking brands MAC and Chanel, were found to have harmful levels of lead, beryllium, aluminum and bacteria. Alibaba has been caught in the crosshairs on the counterfeit issue as well. Non-counterfeit cosmetic products have proven problematic, too. A number of Chinese lipstick brands have been flagged for lead content, as have skin creams for mercury.